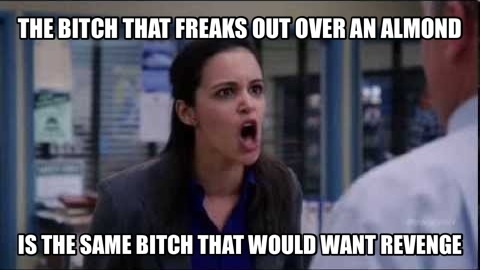 Santiago freaks out. . Wallpaper and background images in the Brooklyn Nine-Nine club tagged: photo brooklyn nine-nine amy hitchcock almond meme. This Brooklyn Nine-Nine fan art contains 肖像画, ヘッドショット, クローズアップ, ポートレート, ヘッド ショット, and クローズ アップ.